If you own, or have just obtained a VHF marine radio, then give yourself a pat on the back first, as you have taken a vital step towards being safer and more efficient while out in the open water. Now what’s needed is a thorough understanding of the operating procedures. With that said, let’s go through the fundamental steps for using your marine radio. To start off, take note of the vessel, port or marina that you want to broadcast to. Make sure that you are on channel 6 or 9 before communicating. Also, listen in for 30 seconds before transmitting, as you don’t want to interrupt other stations. First and foremost, name the station that you are broadcasting to. This should be done three times. Start the call with the words “This is”, and proceed to give the name of your vessel and call sign. If you own a boat, then provide your registration number. Be sure to do this once only. After transmitting all the required identification, you now need to wait for a reply which should be broadcasted in the same way as your transmission. Upon being answered, you can propose to switch to a working channel to continue your communication. Use the word “Over” to indicate the end of your broadcast. Wait again for an acknowledgement or confirmation, change to the working channel and repeat the process once more. Be sure to never broadcast a fake emergency. Not only is this a felony, but it also means that while rescue teams are putting all their efforts into your false cry for help, others who are genuinely in danger may suffer as a result. Use as many “pro-words” as possible. These include; “Over”, “Acknowledge”, “Standby”, “Confirm”, “Say again”, “Radio check” and “This is”, as well as many others. This is a far more efficient way of communication when on a marine radio. Learn the phonetic alphabet. This is a vital tool for anyone who ventures out to sea. It allows for spelling out, via the use of specific words that gets the message across clearly. Here is it for your convenience: Alpha, Bravo, Charlie, Delta, Echo, Foxtrot, Golf, Hotel, India, Juliet, Kilo, Lima, Mike, November, Oscar, Papa, Quebec, Romeo, Sierra, Tango, Uniform, Victor, Whiskey, X-ray, Yankee, Zulu. There you have it! 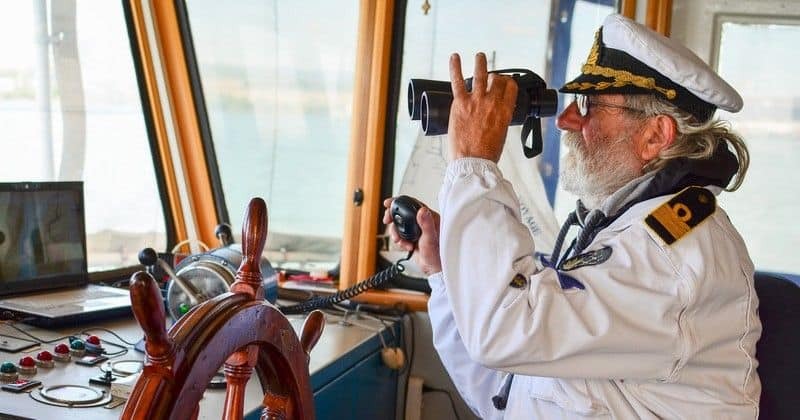 All the steps, procedures, as well as some nice extra bits of advice to ensure that you use your marine radio productively. Feel free to jot down the points discussed, as in times of emergency you may start panicking and forget the basics. It’s always a good idea to have a print-out of the operating procedures on your vessel. Take care of yourselves out there and keep dry! What is Digital Selective Calling (DSC)? What is the Automatic Transmitter Identification System (ATIS)?